Satay, or sate in Indonesia in the country where it originated, is a dish of seasoned meat that is skewered, then grilled and served with a sauce poured over it. The meat may be chicken that is diced or sliced, mutton, beef, goat meat or fish. It may also be made of tofu. The original Indonesian recipe uses skewers made from the midsection of the coconut palm frond. Today, bamboo skewers are often used. The skewered meat is barbecued or grilled over a wood or charcoal fire then served over different spicy seasonings. 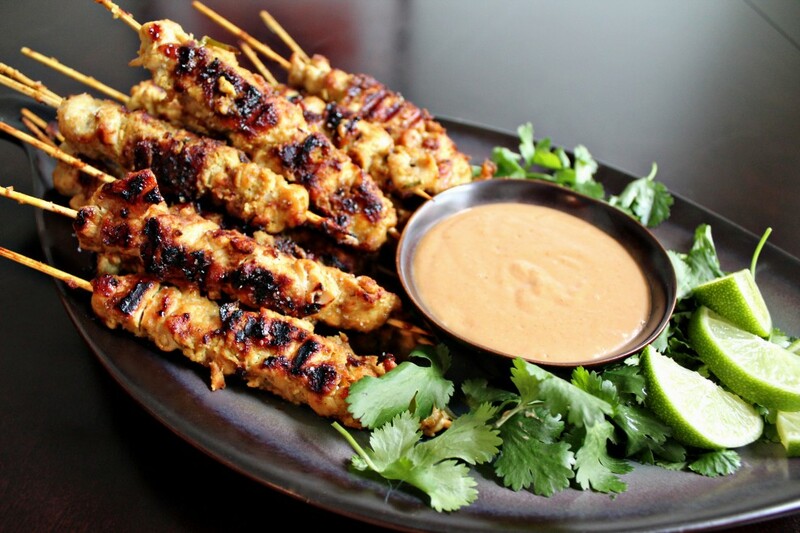 Satay can be served over different types of sauces. Typically, it is served over soy and peanut sauce. This is why peanut sauce is often called satay sauce. The favorites here are satay lemongrass pork rice, satay fried chicken rice, and satay soup pork cutlet noodles. Order online from Satay King here. The satay dishes to sample here are Nasi Goreng, Sate Ayam (Dua Tusuk) and Sate Babi (Dua Tusuk). Nasi Goreng Nasi is Indonesian fried rice with satay, Sate Ayam is made with chicken while Sate Babi is made with pork. Follow this link to order online form Indonesian Restaurant 1968. This is the restaurant for seafood lovers. Saigon serves incomparable squid satay skewers. You get six pieces which will leave you satisfied as well as content. The restaurant also serves chicken, beef, and port satay skewers. Another place you can get squid satay in Hong Kong Noodle Congee Cafe (Wan Chai). This restaurant serves satay shrimp balls and pak choi dry noodles as well as satay fish balls and beef balls dry noodles, and satay sliced beef dry noodles. Order online from Saigon Saigon here. Perhaps you wish to sample an assortment of different satay dishes. You can do so at Vi where you can order a spicy Satay Assortment Platter. It comes with nine pieces of beef, pork and chicken satay which are served with a spicy peanut sauce. Follow this link to order online from Vi. You can also sample an assorted satay platter at Mint & Basil- Vietnamese & Thai Cuisine. You will enjoy the Assorted Satay Skewers which has six skewers of satay ponorogo served with your choice of meat, with a coat of creamy spicy peanut sauce. The Malay Satai Chicken Noodle served here is sure to become one of your favorites. You can enjoy this delectable satay dish with either vermicelli or rice vermicelli. You can enjoy the dish with soft drinks or special drinks including lemon drink with lemongrass, Sprite with salty lemon, bottled coffee or bottled milk tea. Order online from Assam Asia Food Express here.